I adore sweet potatoes. Recently, I was introduced to empanadas and thought this combination could be interesting. My only exposure to empanadas in the past had been savory ones. Chicken or beef seasoned with different flavors of other countries like Cuba. Empanadas are more about the technique and a finished little edible pocket. Sweet potatoes are one of my favorite starch choices in a food. Unlike some options for a ‘starch’, they have lots of fiber that helps you stay full longer. Orange-fleshed sweet potatoes are packed with beta-carotene with the ability to raise our blood levels of vitamin A. Some studies suggest that consuming 3-5 grams of fat in the same meal significantly increases our uptake of beta-carotene. Sweet potatoes sporamins (storage proteins) help prevent oxidative damage to our cells. This tasty tuber also has anti-inflammatory health benefits. The phytonutrients in sweet potatoes help to reduce the inflammation response in our bodies. Even though they are sweet and ranked as a ‘medium’ on the glycemic index, sweet potatoes can significantly increase blood levels of adiponectin. This helps with insulin metabolism. When they are baked their natural sweetness comes out. I’ve never felt the need to add a bunch of sugar to a baked sweet potato. Anytime you head to the kitchen you need the proper tools on hand. Below are 3 key tools you will want. Amazon affiliate links are for your shopping convenience. Purchasing through them may net this site a small commission at no charge to you. We only recommend products we believe will bring you value. 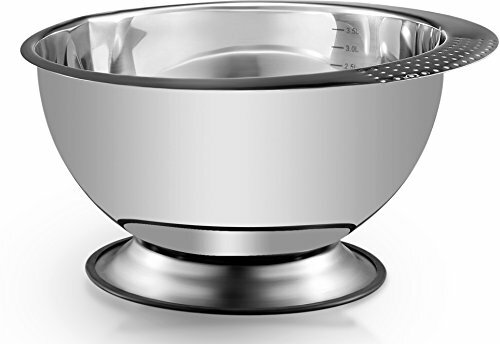 The stainless steel mixing bowl is one I own and love for its versatility. A potato ricer helps you get super smooth finished products. If you don’t have one, grab it NOW. You’ll love it for ricing all the tubers and can even use it to rice cauliflower! 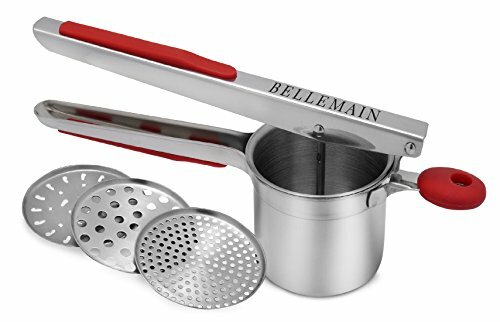 Once you use it for mashed potatoes of any sort, you will never want to go back. 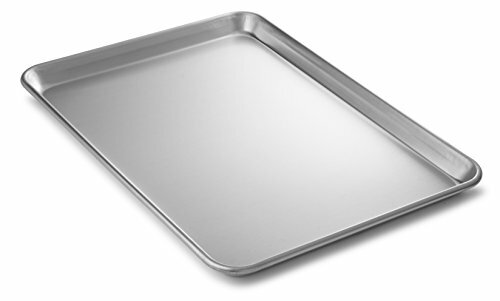 Finally, use a good quality half sheet pan for baking. My personal preference is to line with unbleached parchment paper. For those who do not like to cut the paper when needed, you can buy precut sheets. 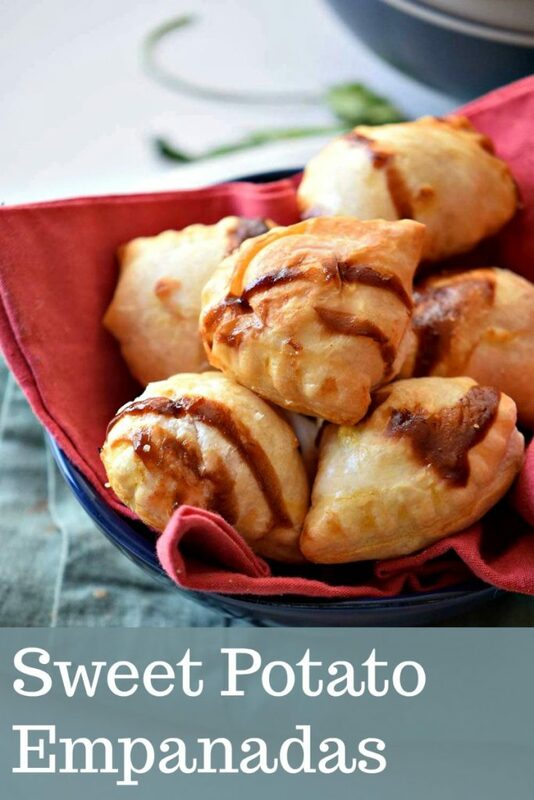 If you want a sweeter empanada, bake the sweet potatoes slowly on a low setting of 150 degrees. Stir together the salt, sugar, and flour. Add in butter and press and stir until butter gets smooth and combines with the other ingredients. Pour in the water 2 tablespoons at a time. 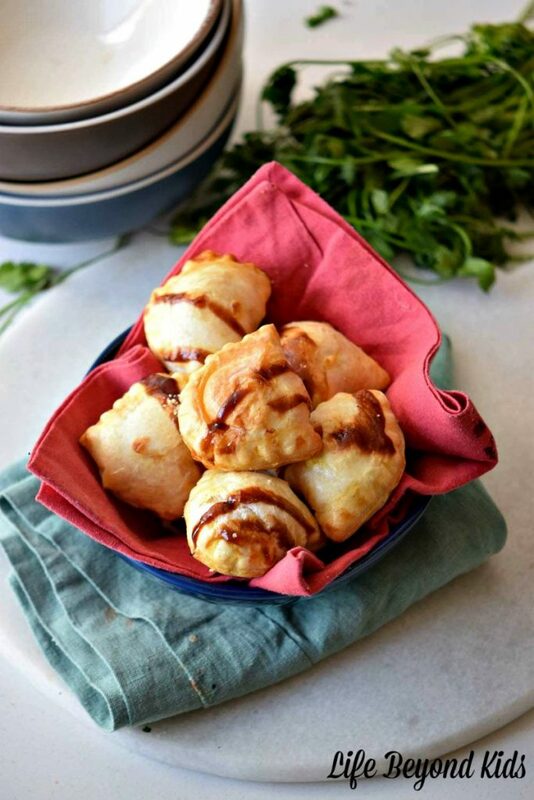 Roll into a ball when dough becomes sticky. Place the dough out on a surface with flour. Roll it out and cut out circular shapes. Boil sweet potatoes until soft all the way through. Mash the potatoes and pour in the milk. Mix until milk is absorbed. Add in the cinnamon, nutmeg, and butter. Place 1 Tbsp of the sweet potato puree in the middle of the dough. Fold the edges together and press them down with your thumb to shape the border. Put the empanadas in the oven and bake until dough is crispy and they turn golden brown. Do you enjoy dishes made with sweet potatoes? 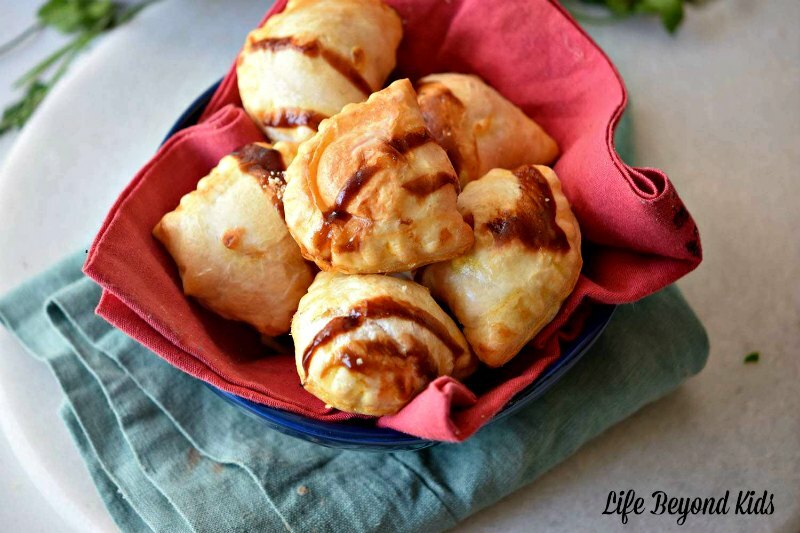 Would you or someone you know adore these Sweet Potato Empanadas?